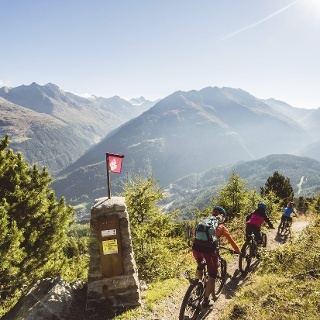 This Natural Trail travels from Rettenbachalm mountain inn on a varied and slightly descending Single Trail towards the mountain hamlet of Hochsölden. Many hikers! 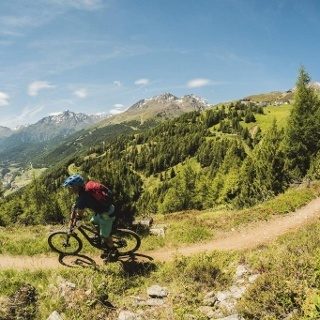 Rettenbachalm Trail is a wonderful and flowing trail with awesome panoramic vistas: you feel like surfing high above Sölden. Although the ground is slightly sandy and the course of the trail is perfectly visible you should always show respect for walkers and mountain hikers. 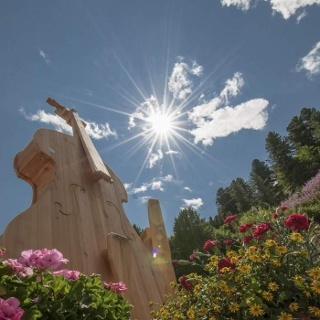 Soon you reach the wooded area and a broad forest trail that takes you towards Hochsölden. Below the hamlet of Hochsölden you can access Leiterbergalm Trail (672) or follow the Hochsölden asphalt road down to the valley floor. 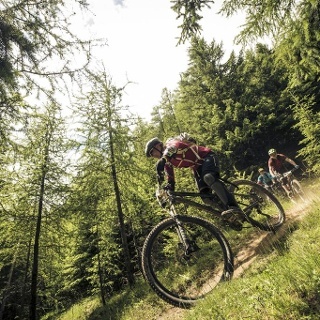 Combine this splendid route with the blue Bartiges Bödele Trail (676) and the red Leiterberg Trail (672). 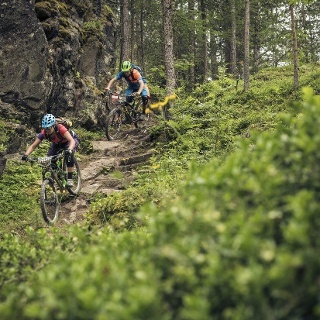 The trail starts at Rettenbachalm mountain inn and ends on a wide forest road next to the former Langegg Lift 2 base station. From there you can easily proceed to Hochsölden.